Samsung Electronics on Sunday fired back at Apple’s claims that other smartphones have reception problems as well. 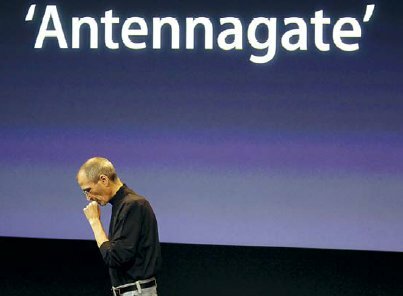 Apple CEO Steve Jobs on Friday argued that not only its iPhone 4G, but other phones experience a signal loss when grabbed in a certain way, showing video of iPhone’s rival phones -- Research In Motion Ltd.’s BlackBerry Bold, HTC Corp.’s Droid Eris and Samsung Electronics Co.’s Omnia II. Jobs’ news conference sparked backlash from Apple competitors, some of which accused Apple of trying to divert consumer attention from its biggest ever public relations crisis. Samsung said that the antennas of its smartphones were designed to make sure that they have no difficulty in getting signals. The world’s No. 2 handset maker also said that no reception issues have been reported so far about its smartphones. “The antenna is located at the bottom of the Omnia 2 phone, while iPhone’s antenna is on the lower left side of the device. Our design keeps the distance between a hand and an antenna,” Shin Young-joon, a Samsung spokesperson, told The Korea Herald. “We have fully conducted field tests before the rollout of smartphones. Reception problems have not happened so far, and there is no room for such problems to happen in the future,” he said. He also questioned the reliability of the reception test made by Apple, saying its results may differ depending on the circumstance. Samsung, however, fell short of releasing a statement on Apple’s latest claims unlike Nokia, Research In Motion, and Motorola. This is possibly because Apple is one of the biggest customers for Samsung, the world’s No. 1 memory chip maker. The popular iPhone 4 uses Samsung’s DRAM and NAND flash memory chips, and an application processor manufactured by the Korean chip vendor. RIM, the world’s No.2 smartphone maker which faces a growing threat from third-ranked Apple, strongly criticized Jobs’ comments. 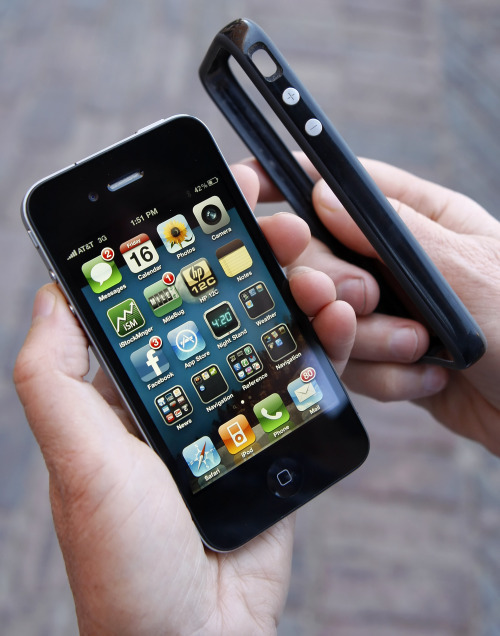 “Apple’s attempt to draw RIM into Apple’s self-made debacle is unacceptable. Apple’s claims about RIM products appear to be deliberate attempts to distort the public’s understanding of an antenna design issue and to deflect attention from Apple’s difficult situation,” RIM co-CEOs Jim Balsillie and Mike Lazaridis said in a statement. Sanjay Jha, co-CEO of Motorola, also said that the iPhone’s design of placing antennas outside of its device can cause reception issues, and that the company does not have antennas outside of its devices. “Consumers don’t like being told how to hold the phone ... It is disingenuous to suggest that all phones perform equally,” he said in an e-mailed statement. An HTC spokesperson was not available for comment on Sunday. A wave of criticism against Apple comes as the competition is intensifying in the fast-growing segment. Samsung, Motorola and other Apple rivals have recently launched a slew of new smartphone models, to challenge Apple’s iPhone 4G, which was rolled out on June 24. Apple grabbed a 16.1 percent share in the global smartphone market in the first quarter, narrowing its gap with RIM, which held a 19.5 percent share, according to market research firm IDC. Nokia led the market with a 39.3 percent share, while HTC and Motorola placed a distant fourth and fifth on the list with a 4.3 percent share and 3.4 percent share, respectively.